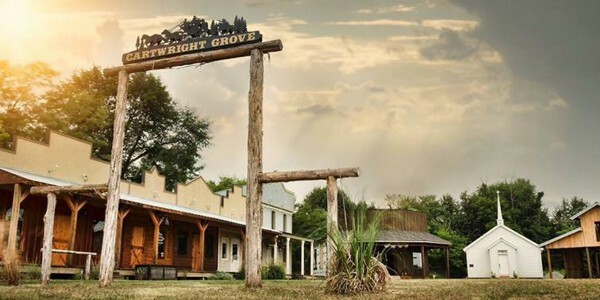 Kick off the Christmas Season on Saturday, November 24th at Cartwright Grove’s Replica 1880’s Old West Town. Santa’s Roundup will begin at 10 AM where kids can come out to enjoy donuts and milk with Santa. There will also be games, covered wagon rides and a gift for each child. The cost is $5.00 per child. That Saturday evening after the Mayfield Winterfest Parade, come back out to Cartwright Grove to enjoy musical entertainment, holiday decorations and campfires. A meal consisting of pizza, chips, a dessert and drink will also be served for $5.00 per person. Covered wagon rides will also be available for $2.00 each. Be sure to stop by the old FNB Bank Building as you tour the Old West Town. Cartwright Grove is located at the Mayfield/Graves County Fairgrounds (1004 KY-121, Mayfield, KY 42066). To learn more visit their website at http://www.cartwrightgrove.com/index.php or find them on Facebook at https://www.facebook.com/CartwrightGrove1880/.